← Happy holidays and safe travels. See you here in the new year. This is the train that was featured in an I Love Lucy episode. Lucy thought a jewel thief was in the room next to theirs and kept pulling the emergency cord, bringing the train to an abrupt halt. 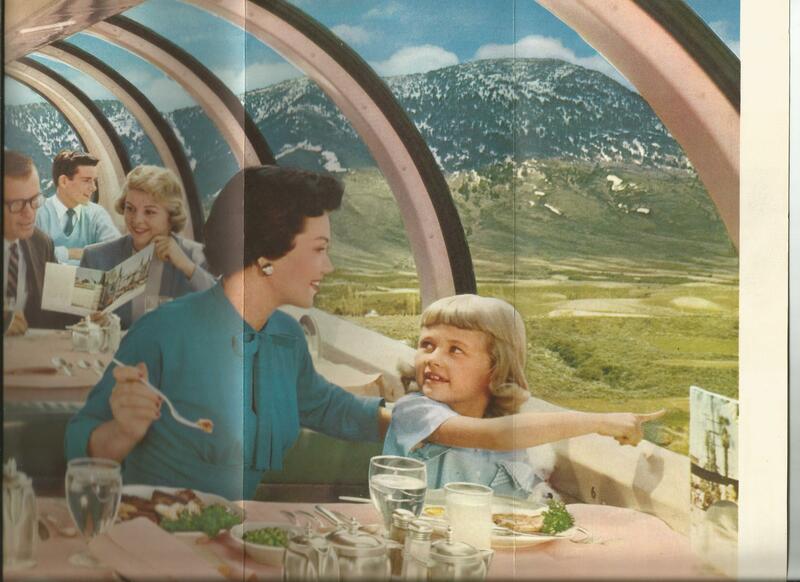 Each time she did it, the Mertzses returned from the dome diner with food all over them. This entry was posted in trains and tagged Domeliner City of Los Angeles, I Love Lucy. Bookmark the permalink.